”What a fantastic weekend! Already from start I felt very comfortable with the car. It’s incredible when you really can control your car and feel like you can do whatever you want with it” said Johan. The drama in the final played out in the first corner, behind Johan in the lead. Timmy Hansen took a hit, went sideways and almost hit Johan. But after escaping that drama without a scratch, Johan controlled the rest of the race. 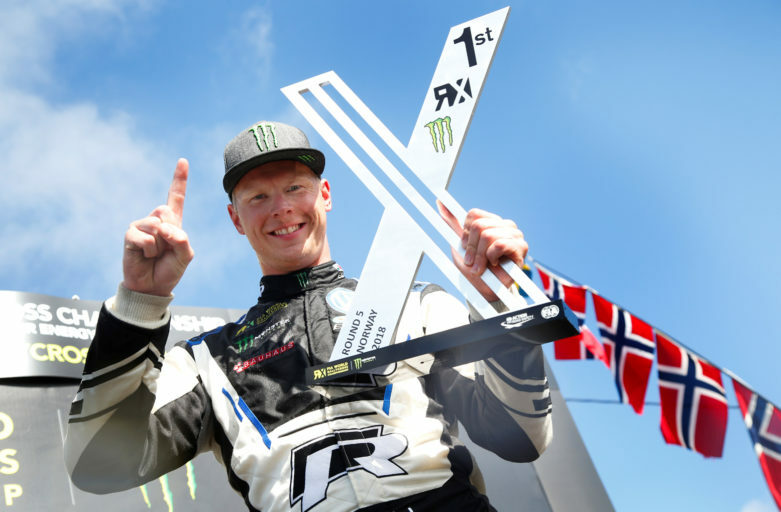 Mattias Ekström, with an early joker lap behind him, came chasing from behind but the ruling world champion had more to give and finished eighth tenths before Ekström with Petter third. The Swede secured his second straight victory on this track in front of 24.000 spectators and also the fourth win in five rounds in this year’s World RX championship.